TimeClock is the simple and practical solution for automated timekeeping. 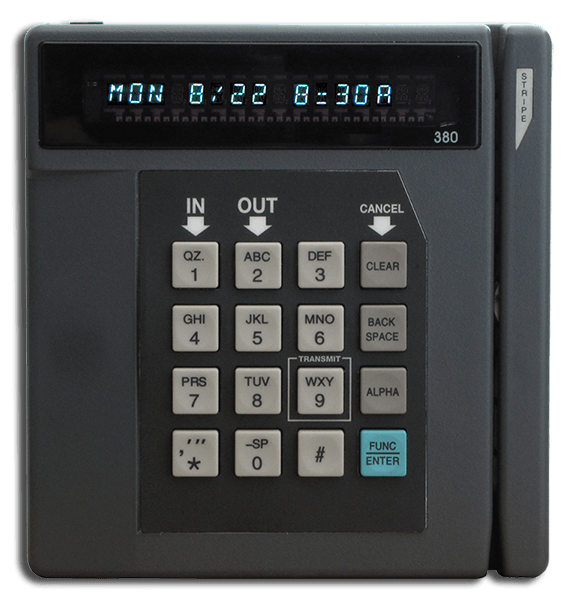 It collects employee punches primarily through an employee PIN or badge swipe, but also supports biometric employee identification with the addition of a PrintReader accessory. Employee data is sent to Web for supervisor editing daily and conveniently through a standard fax/phone line.